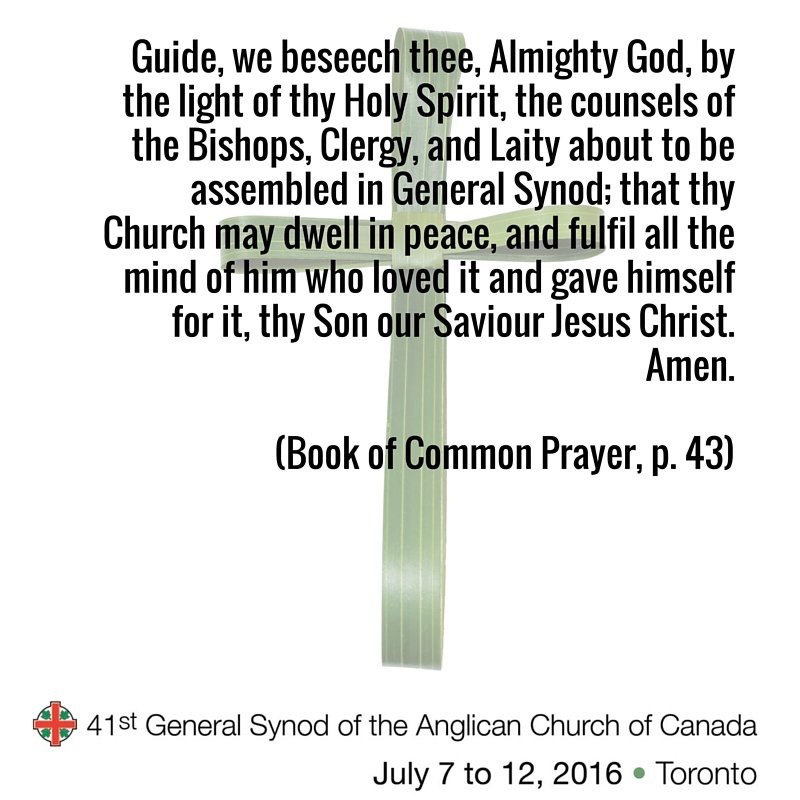 The Anglican Church of Canada posted this prayer For General, Provincial, or Diocesan Synods from The Book of Common Prayer on its Twitter feed the other day. "Amen!" pray I. 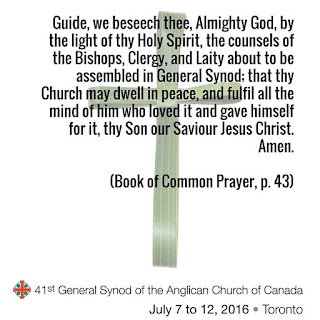 May the all the mind of our Saviour Jesus Christ be fulfilled, indeed, particularly as regards the momentous changes proposed for our Marriage Canon during this Synod. It seems to me this prayer fleshes out how Jesus' mind for his Church ought to be fulfilled: protected from error, ignorance, pride and prejudice; directed, governed and sanctified by the Holy Spirit of Truth; so the transforming and saving Gospel of Christ can continue to be faithfully preached and obeyed; the Church's order and discipline conserved; and the Kingdom of God properly enlarged and extended. Lord, have mercy! Please pray.